I recently had the chance to spend a week in the far North to do some early planning work on the next festival. It turned out to be an amazing week with a nice balance of art and adventure – a music festival, carving workshop, an abandoned goldmine, and an ornery owl. Over the next few days, I’ll post some photos and share some stories from North of 60. 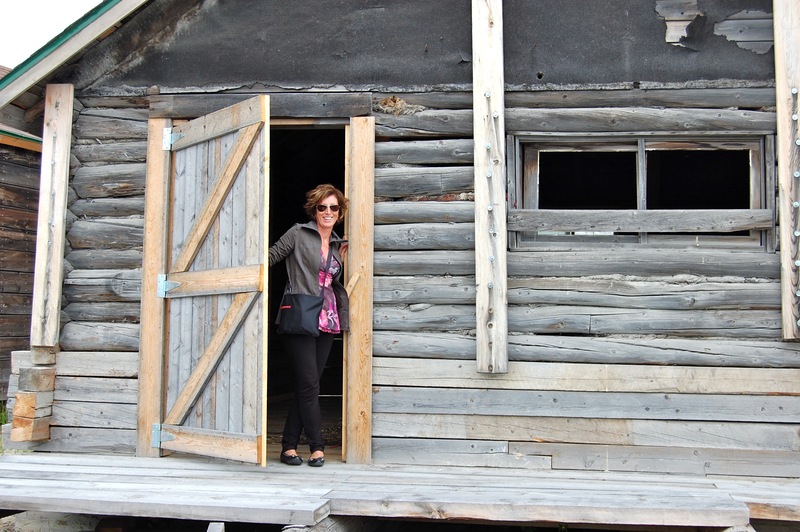 I traveled first to Yellowknife to attend the Folk on the Rocks music festival. In the weeks leading up to the trip, I had developed this mental picture of Yellowknife as a rugged frontier town, filled with adventurers, manly men, and eccentrics. As it turns out, it’s remarkably similar to towns you might find scattered throughout cottage country, complete with all the conveniences of home – Walmart, Tim Hortons, Shoppers Drug Mart, etc. 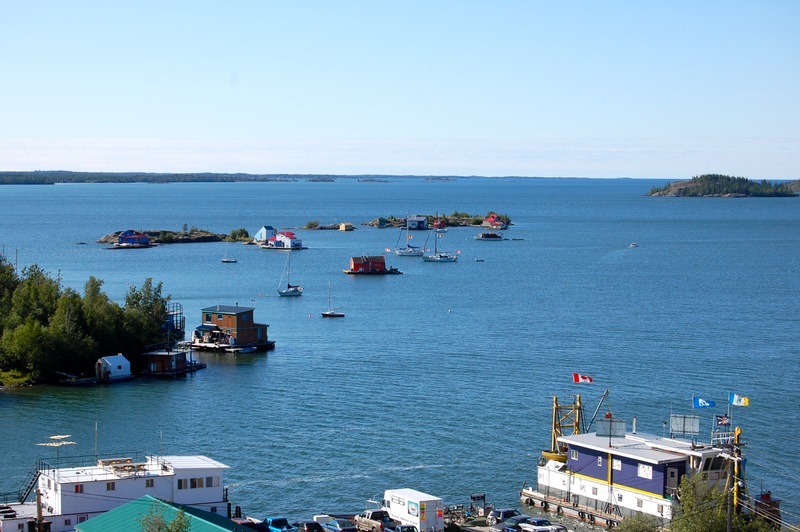 Yellowknife is a pretty young city, with miners descending on the tiny town in the 1930s in search of gold. Old Town is a charming collection of mostly original homes from that period. It’s incredible to think of workers toiling in the mine for hours and then coming home to a little log cabin. The harbour is a pretty busy place, with lots of fishing charters and float planes taking adventurers to more remote camps. The water in Great Slave Lake is incredibly blue. 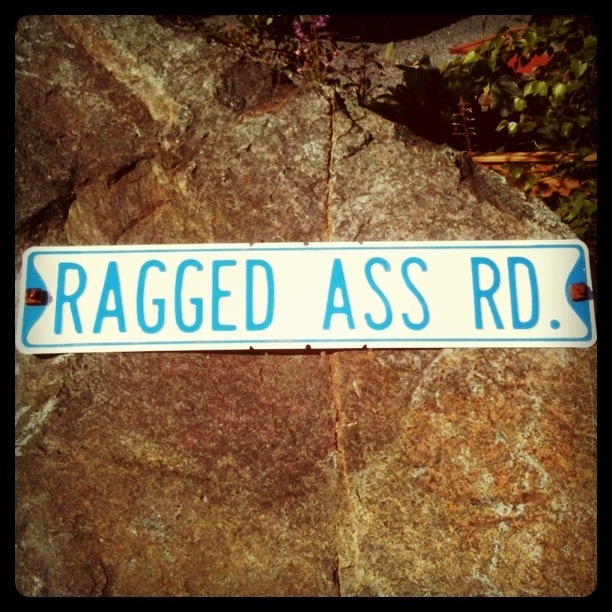 This is the most famous street in Yellowknife. It’s tucked away in Old Town, and truth be told, the sign is really the only thing to see there. My boys think it’s hilarious, though. 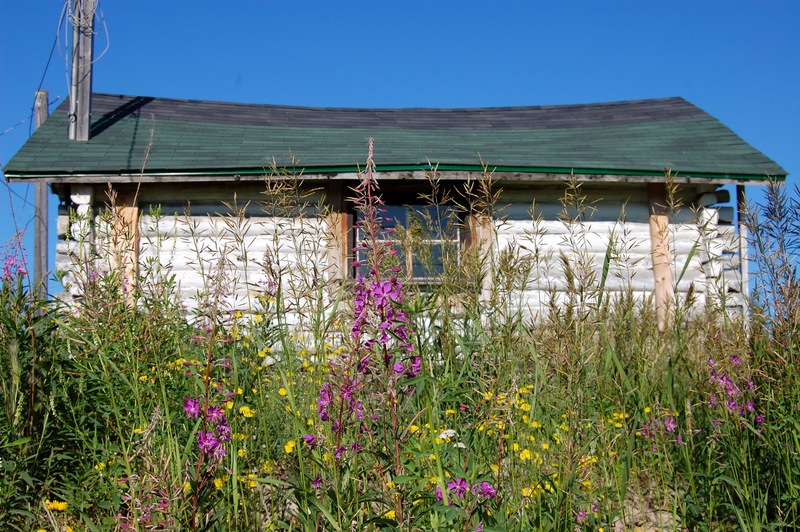 I was struck by the beauty of some of the old cabins, especially the way the weathered wood contrasts with the beautiful wildflowers that manage to thrive in the short growing season. FYI, apparently this place used to be a whore house. 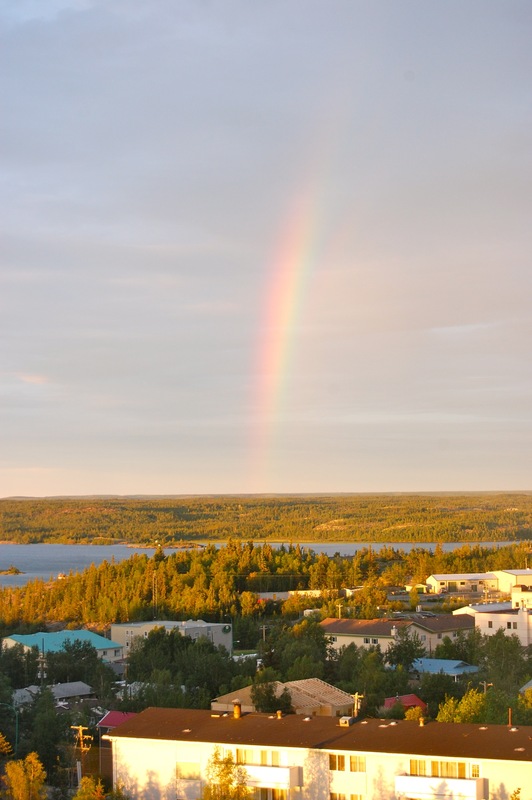 During the summer, the days in Yellowknife are pretty long. Dusk started to settle in around 11:00 pm while I was there, so there were probably a couple of hours of darkness each night. It was definitely the first time I’ve ever seen a rainbow at 10:30 pm. Based on my brief trip, I have a few suggestions for first-time visitors. 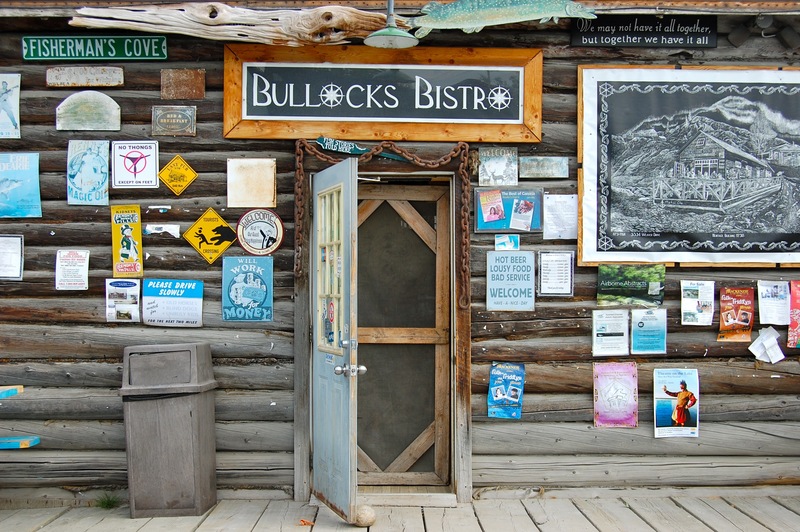 You can’t visit Yellowknife without eating at Bullock’s Bistro. You’ll find it in Old Town in an old cabin. It’s a pretty simple menu – mostly a selection of fish (pan-fried or fried) with salad and fries. I loved my Great Slave Lake whitefish fillet and the warm, rustic buns that came with it. Some people complain that it’s too expensive, but seriously – it’s good food in a memorable setting, and the cost pales in comparison to however much you spent to get to Yellowknife in the first place. Grab a seat on the patio and a ten-dollar beer and ease into the northern pace of life. The Explorer Hotel is arguably the best hotel in town. I had a nice clean room with a great view of Old Town. The restaurant and lounge have decent menus, and the staff was very friendly. There are a few car rental places at the airport. If you rent from National, the office is located off site so someone will have to come and pick you up. Hertz and Budget have rental desks right in the terminal. Up next: Folk on the Rocks.